Anuga is the world's leading food fair for the retail trade and the food service and catering market, which takes place every two years in Cologne. 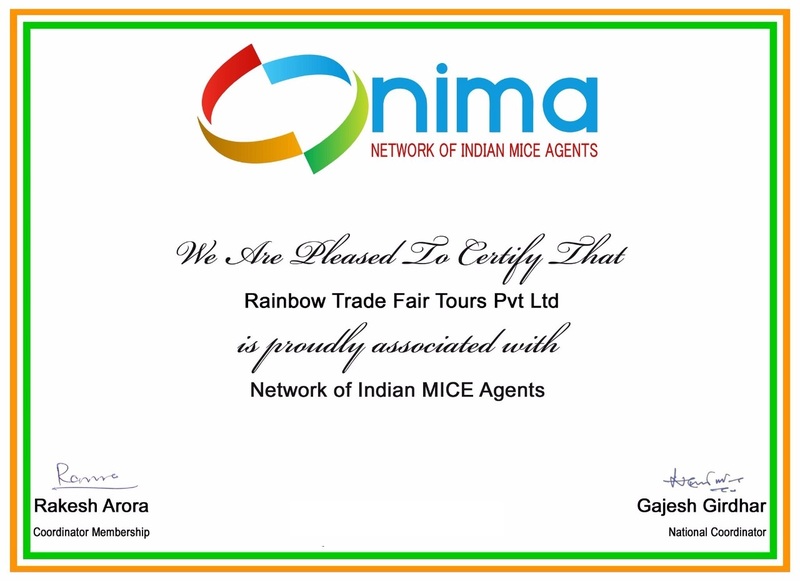 As the world's most important food and beverage trade fair, it reaches high regard and acceptance through exhibitors as well as through visitors. It is purely a trade fair and combines 10 trade fairs with a high quality of visitors: Anuga Fine Food, Anuga Frozen Food, Anuga Meat, Anuga Chilled & Fresh Food, Anuga Dairy, Anuga Bread, Bakery, Hot Beverages, Anuga Drinks, Anuga Organic, Anuga Food Service and Anuga RetailTec. In addition, the exhibition program of Anuga will be expanded by trend themes, which are topics, showing what is currently in demand and where the future is heading to. At the Anuga trade fair the concept and the supporting program are tailored to the products and to the needs of the food and beverage industry. The international orientation of the fair makes it incomparable. At this fair, exhibitors and visitors come from almost every country in the world - for cross-border transactions and contacts. The visitors expected at the trade event are restaurant owners, caterers, dairy product producers, food services providers, health care officials, hoteliers, government authorities, food safety handlers, supervisors, quality checkers, confectionery professionals, fast food/frozen food/bakery product marketers, and many more. The exhibitors will demonstrate various products and services of the industry such as Beverage & Liquid Food Technology, Milk & Dairy Technology, Meat Technology, Various food products, Refrigeration, Bakery, Confectionery Technology, Food Safety, Hygiene maintenance, Quality Control, Horticulture, Hotel equipments, Catering equipments, Storage control, Logistics, Food Additives, Food Ingredients many more more merchandises of the industry. 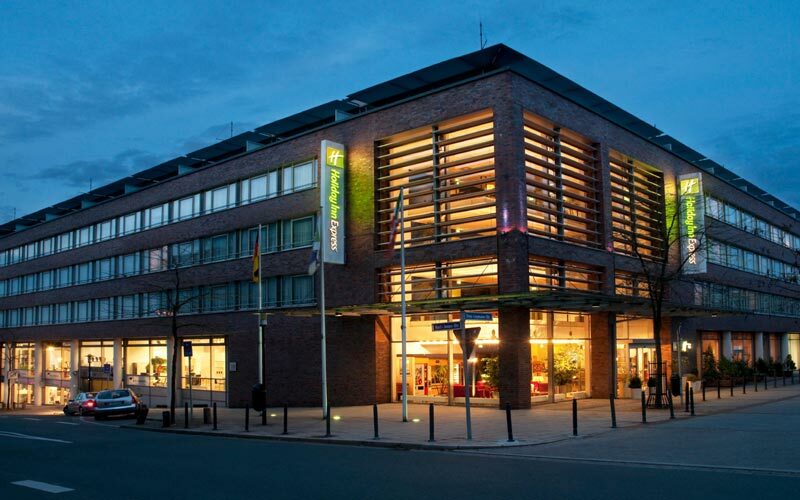 Holiday Inn Express Essen-City Centre, 3 star Hotel located 10 minutes by direct subway train from Messe Essen Convention Centre, and 40 minutes by taxi from Düsseldorf Airport. 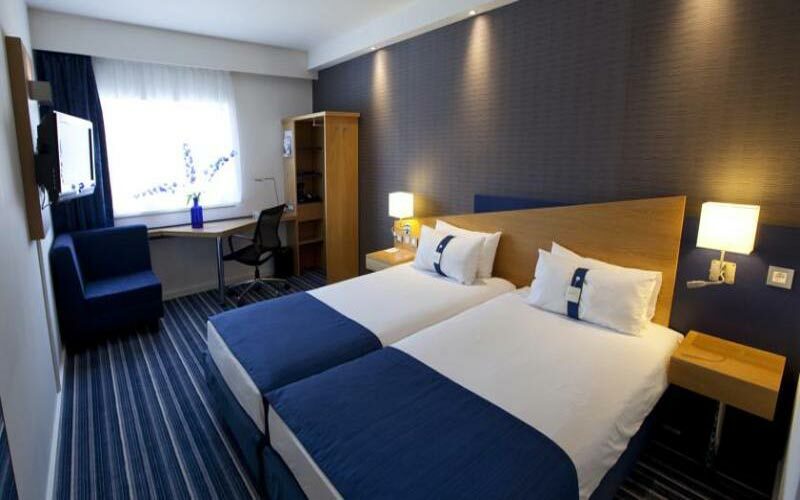 A quiet setting by a leafy park and excellent transport links, make Holiday Inn Express Essen a good city-centre choice. 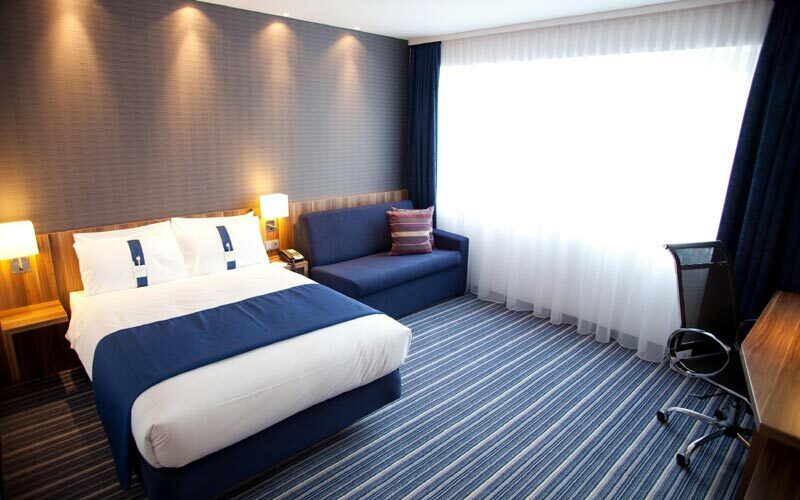 The modern red-brick hotel is just a two minutes’ walk from Berliner Platz Subway Station, and it is a five minutes ride from there to Essen Central Station. This contemporary redbrick hotel is also 2.2 km from the Museum Folkwang and 7 km from the museum at the 19th-century Zollverein Coal Mine Industrial Complex. 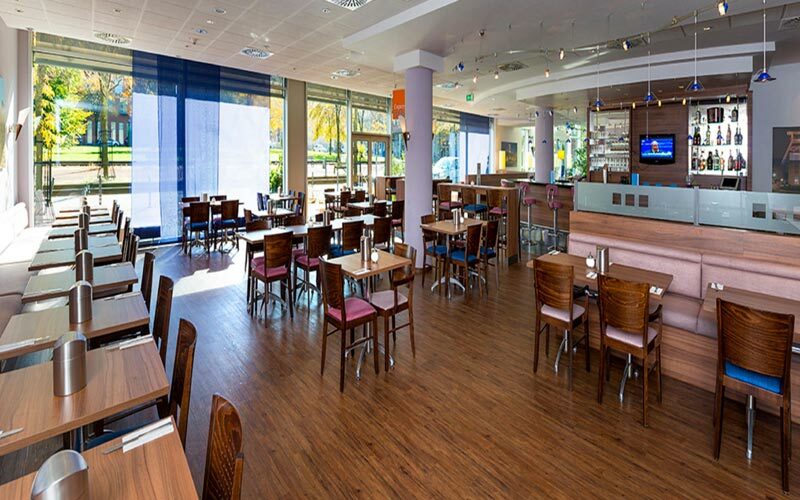 The bright, relaxed rooms feature free Wi-Fi, flat-screen TVs and work desks, plus tea and coffeemaking facilities. Kids stay free with an adult.The hotel offers complimentary continental breakfast. Other amenities include a business center, a laid-back bar and paid parking.